Why is diversity in young adult fiction important to you? This is such a huge, multi-layered question, but on the most basic level, diversity in YA fiction is important because diversity in *life* is important. Our stories both reflect and influence our lives, and life is anything but homogenous (just walk in the woods if you doubt that!). I want all kids and teens to know that they’re important and that their stories — whatever those stories might be — belong on the page. They belong on the shelves. They belong in our discussions and our imaginations. And as authors who write books for kids and teens, we have both a responsibility and a privilege to tell diverse stories, to give those characters voices. Yes, it’s challenging, and when we write about something outside of our own experience, we might get it wrong. But that’s no excuse not to try! 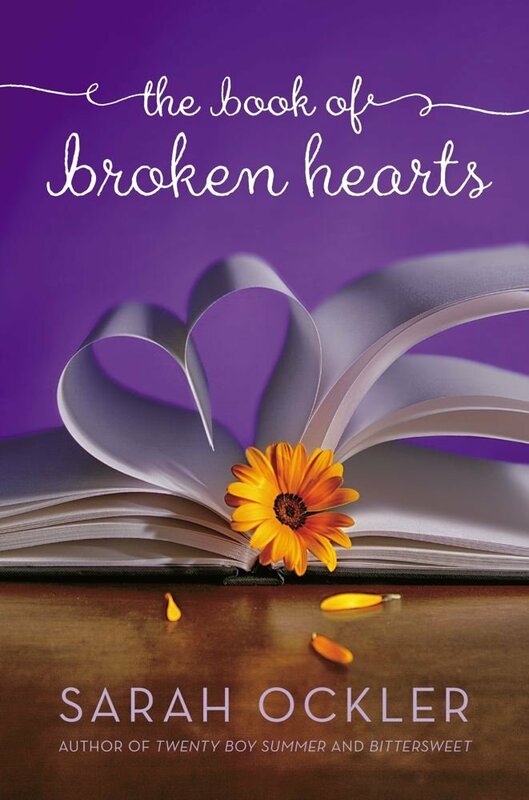 What were some of the challenges you faced while writing The Book of Broken Hearts? What did you enjoy most? Speaking of challenges…. yes! This was the most challenging book I’ve written — which also made it the most enjoyable. All of my books so far have been contemporary realistic YA novels, but within that category, I love trying new things, which might mean exploring new family relationships, different cultures, totally new plot situations, new places. For this one, I had the opportunity to immerse myself in two different Latino cultures — Argentine and Puerto Rican — and to write about family, history, language, cultural traditions, and even foods so different from what I grew up with was a wonderful challenge that required a good mix of research and imagination. The other challenge was more of an emotional one — researching the effects of early onset Alzheimer’s on a young family. It’s such a devastating illness, and there were times during the writing that I had to walk away, to take a break and work on something completely different. Throughout the process of writing a book, I often come to know my characters as real people, and I hated putting them through such tragic and painful situations in The Book of Broken Hearts. But I really wanted to tell this story, and it was important for me to portray it authentically — that’s where the challenge came in. What appealed to you about having a set of sisters whose hearts get broken by a set of brothers? Which aspects of Jude and Emilio’s relationship do you hope readers will swoon over? What sets them apart from characters in your other books? Crystal’s father restored one of his motorcycles in the dining room one winter much to her mother’s consternation. Have you been privy to many motorcycle restorations or did this require additional research for The Book of Broken Hearts? Why did you set The Book of Broken Hearts during the summer before college instead of during high school? I wanted Jude to be at a major crossroads in her life, kind of stuck in that floaty space between her past and her future. In many ways she’s still a child — she’s so wrapped up in her sisters’ “rules” and not wanting to disappoint them. But the summer after high school, she’s taking on so many adult responsibilities — caring for her father, helping him restore his motorcycle, trying to cook and help her mother. I wanted to take the naturally confusing transitionary time that so many teens experience, and then really intensify it with her father’s decline, the conflicts with her sisters, and of course… falling in love! Do you have any high school experiences that would make a great springboard for a YA novel? Oh, gosh. Don’t they all? 😉 Honestly, I never use my actual high school experiences in my fiction, but I do take the emotional footprint of them to inspire different characters, situations, and relationships. In that way, yes, I have a whole memory bank full of those kind of experiences! Scary thought! What advice do you have for writers who want to include diverse characters in their books? Which authors have been your biggest influences? Which authors do you look to for great stories about diverse characters? When I first started writing YA, my big influences were the established contemporary realistic authors like Sarah Dessen, Laurie Halse Anderson, and Deb Caletti, and I still adore their books. The more I learned about YA and the more I read, the more I discovered other writers and diverse stories too — authors like Coe Booth, Malinda Lo, Cindy Pon, Cassie Clare, Matt de la Pena, Justina Chen, Sherman Alexie, Laura Resau, Dia Reeves, Sarah Rees Brennan, Dream Jordan, and Neesha Meminger come to mind. Who are your five favorite YA characters? This answer changes for me all the time! At the moment, here are a few of my top faves: Kami Glass in Sarah Rees Brennan’s UNSPOKEN, Kit Cordelle in Dia Reeves’s SLICE OF CHERRY, Blue in Maggie Steifvater’s THE RAVEN BOYS, Annana in Cassandra Rose Clark’s THE ASSASSIN’S CURSE, Jael Thompson in Jon Skovron’s MISFIT. I’d love to hang out with any of them! Well, maybe not Kit — she might be best observed from a distance, since she’s got the whole serial killer thing going on. But yeah, great characters! Which diverse YA books are you most looking forward to getting your hands on this year? I’m really looking forward to reading Malinda Lo’s ADAPTATION series — I haven’t read the first one yet, but I’m going to double up when the sequel comes out so I can catch up! I’m scoping out Sarah Beth Durst’s VESSEL and Miriam Forster’s CITY OF A THOUSAND DOLLS to get my epic fantasy fix. HAMMER OF WITCHES by Shana Mlawski also looks awesome. And I recently made a Goodreads list of the 2013 ALA Rainbow List at http://www.goodreads.com/review/list/740903?shelf=2013-rainbow-list featuring LGBTQ books and I hope to check those out this year too. So many awesome diverse books! Thanks for having me on Rich in Color, and thanks for continuing to host these important conversations about diversity in YA! 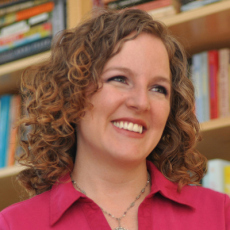 Sarah Ockler is the bestselling author of critically acclaimed young adult novels Twenty Boy Summer, Fixing Delilah, and Bittersweet. Her books have been translated into several languages and have received numerous accolades, including ALA’s Best Fiction for Young Adults, Girls’ Life Top 100 Must Reads, IndieNext list picks, and more. Her short fiction and essays will be featured in two upcoming young adult anthologies: Defy the Dark and Dear Teen Me. Sarah teaches advanced young adult fiction writing at Lighthouse Writers Workshop in Denver. She’s a champion cupcake eater, coffee drinker, night person, and bookworm. When she’s not writing or reading, Sarah enjoys taking pictures, hugging trees, and road-tripping through the country with her husband, Alex. This giveaway is for people with U.S. mailing addresses only. This sounds like a great summer read! Can’t wait to read it. I’ve put it on my summer reading list, too! I love all Sarah Ockler’s books <3 This has been on my tbr pile for a while and I can't wait to read it. I’m going to have to give Sarah’s other books a shot, too–I’ve heard they’re very good. Great questions! I loved BITTERSWEET, and I can’t wait to read the rest of her books including this one! Glad you liked the questions–and Sarah’s brilliant answers! I adore each of Sarah’s books, and I’m especially excited to read this one. Thanks for the awesome interview and the fantastic giveaway! OH! I just read this book (thanks to Simon Pulse and Edelweiss) and loved it! I gave it 5 stars – which is so rare! I recommend this one to ANYONE.